La collezione di libri e opuscoli massonici conservata presso la Biblioteca universitaria di Poznan comprende circa 80.000 volumi. La collezione include le biblioteche di varie logge massoniche, soprattutto dalla Slesia e Pomerania. Include circa un quinto del materiale appartenuto alle logge massoniche tedesche prima del 1933. Dopo essere stata scoperta a Sława Śląska la collezione fu trasferita a Poznan e, dal 1959, è stata successivamente inserita nella sezione massonica della divisione “Special Collection “ presso la Biblioteca universitaria di Poznan come un fondo separato con un proprio catalogo e inventario. La parte della collezione che è già stata catalogata comprende 65.000 volumi. The Library of the University of Poznan possess an exceptional collection of Masonic books amounting to about 80,000 volumes. 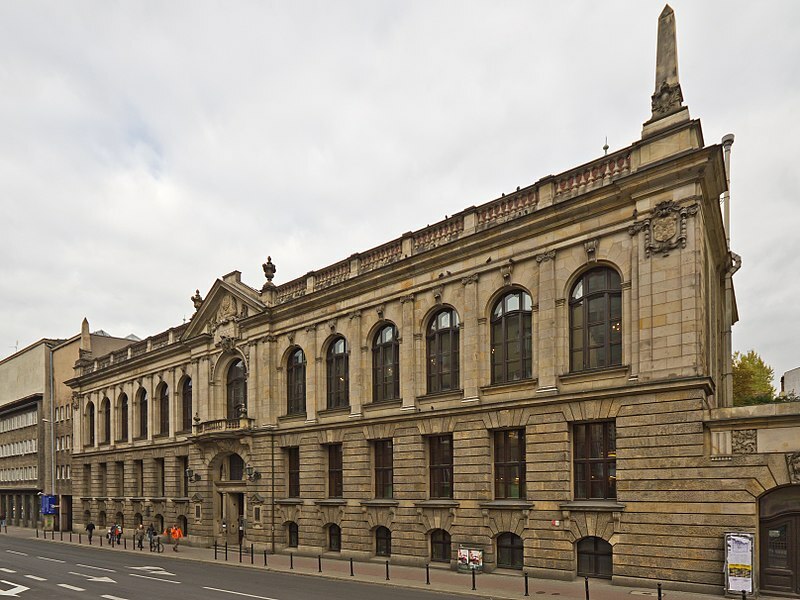 This collection was originally formed during World War II when Heinrich Himmler's SS under the Nazi regime in Germany confiscated the libraries of Masonic libraries in Germany, and stored this archive in Poland. After the war this collection remained in Poland, and only since the fall of the communist regime has its existence been known or it been given any publicity. It is the largest Masonic collection in continental Europe and second only to that of the Grand Lodge in London. Some of the items are housed in Poznan and others at the Chateau de Ciazen about 80 kilometers from Poznan. The University Library and some Masonic bodies from Poland and Western Europe agreed to make Ciazen the centre of Masonic research. The palace has long been a place for conferences and seminars, so it has hotel-like facilities. It is a beautiful place and was formerly the residence of bishops. The older part of the collection has many Rosicrucian books of the 17th and 18th Centuries, but the most substantial part of the collection is of 19th and 20th century works. The greater part of the collection is in German, but there are many English and French works. There are many Masonic encyclopaedias, monographs, Masonic manuals, and polemical and works of Masonic instruction. 70% of the titles are in the form of journals and magazines in a number of languages. There are a number of membership list and other internal documents of various Masonic orders, Constitutions and Statutes, and works on the symbolism, the catechism, instructions, grade rituals and ceremonies of the different Masonic orders. The manuscripts are at present being catalogued. (http://www.levity.com/alchemy/poznan.html).